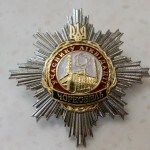 One of the most memorable medals of USSR is Chernobyl Liquidator medal, that was designed after a terrific Chernobyl nuclear disaster. 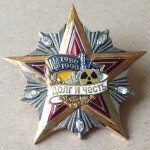 Chernobyl disaster became one of the biggest modern catastrophes that caused death, injury and health problems among a great number of people (mostly former USSR citizenships) and also influenced on an ecological situation around the whole world. 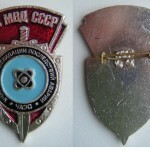 An explosion of nuclear reactor happened in 1986 in former Ukrainian Socialistic Republic – a part of the USSR (now Ukraine). 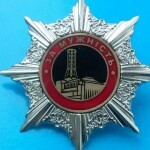 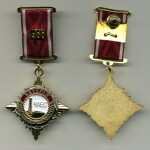 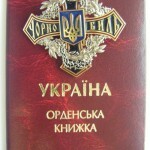 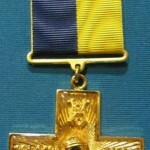 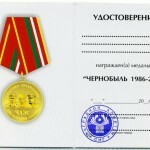 During 1986 – 1987 around 800,000 former Soviet Union’s citizens from all republics were called to a place of a catastrophe and put their life into great risks to protect their country and the whole world from dangerous influence of radiation.Chernobyl Liquidator memorable medal is an award to those who took part in collective work aimed on catastrophe liquidation. 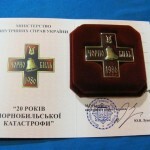 Design of the first medal was approved by a State Comity of Labor and Social Issues of USSR . 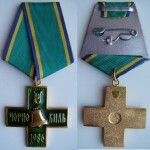 It was decided to award the medal to some participants of the liquidation who showed great devotion and courage in Chernobyl in 1986. 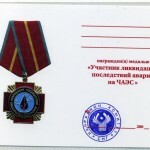 Soviet government awarded heroic firefighters, workers, medical and military personnel with certificates and Chernobyl Liquidator Medal. 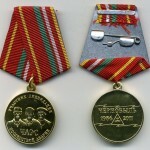 There are two types of a medal: of original Soviet issue and a recent replica, they both have the same value, design and characteristics. 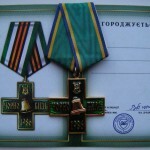 There are possible differences in ribbon shape and pattern according to country and year of issue. 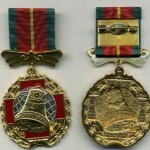 Size of a medal issued in the USSR is around 36×40 mm. 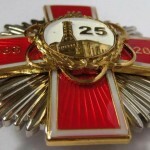 The form is a combination of a red wide cross and a central round display. 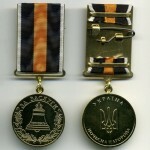 Main colors of the medal are red, blue and black. 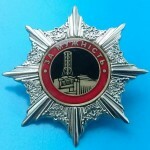 Central round display is covered with blue enamel with a pattern of a blood drop pierced by Alpha, Gamma, Beta rays. 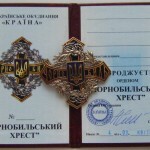 Display of Chernobyl Liquidator Medal is framed with a black ribbon with writing: «To a Participant of the Liquidation of the Consequences of the Catastrophe, ChAPS (Chernobyl Atomic Power Station)».Medal is made from a white metal with a golden finish, back side has no writings neither pictures or patterns. 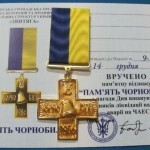 Metal plate is created by a complicated 3-level technology. 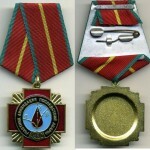 Medallion is connected to a small platform, decorated with colored ribbon. 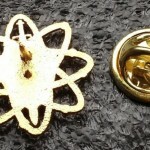 The platform is a functional pin attachment. 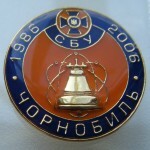 Chernobyl liquidator as it is written on a medal literary means a person who took an active part in liquidation (elimination) of the Consequences of explosion on Chernobyl nuclear power station 1986-1987. 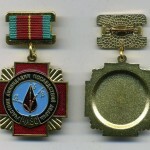 There are more than 600 different medals, signs, decoration and awards that are dedicated to the catastrophe and are awarded to liquidators and those who suffered from disaster. 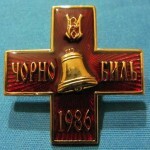 Some of decorations issued by the USSR and others are issued by countries of former Soviet Union. 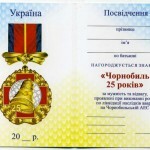 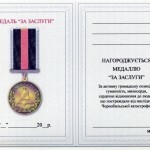 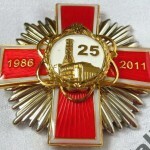 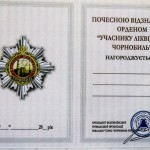 Besides this governments of countries-participants of liquidation issue new medals for each anniversary and memorable dates connected with the catastrophe. 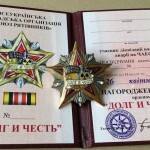 At the moment number of variants of medals, decorations and medallions dedicated to Chernobyl disaster is several times more numerous than variants of WWII German medals and decorations. 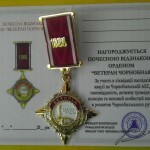 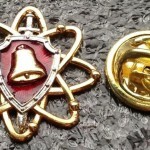 Thought awards have absolutely different shapes, colors, materials and design they still have several elements used in a medal for Chernobyl liquidator.